Investing in a mattress topper will surely help you sleep better at night. 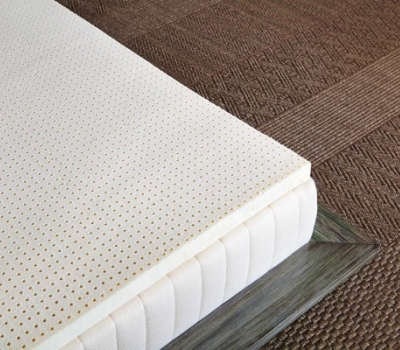 Mattress toppers are an investment that help you extend the life of your mattress. There are things you can do to make your topper last longer as well. This can be done through proper cleaning and care. Not to mention that regular cleaning will keep allergens, bacteria and dust mites at bay. If you allow dust or spills to settle for long periods, it can make even the most comfortable mattress topper unpleasant and unsightly. It may sound like a task that is easy enough to do, however not all mattress toppers are made with the same material. It is important to take into consideration what material your mattress topper is made with with so you can clean it properly. Feather, down and cotton mattress toppers are among the oldest type of toppers. Since these are made with actual bird feathers you will want to make sure that you keep yours clean. This will prevent any allergic reactions and sensitives from flaring up. Many manufacturers recommend airing these mattress topper on a regular basis. It may also be put under sunlight every six months or so, rather than just being aired. If there are no stains or dirt on the mattress topper than it will only need to be deep washed once a year. Of course, any soiling will require it to be washed immediately. For feather toppers which can be laundered make sure that you use cold water for the cycle. This will keep fibers in your fabric intact. Carefully inspect your topper for any tears or holes that the filling can go through during the wash.
Use a liquid detergent because this preventing the oil from the feathers from being removed, helping to retain the quality of your filling. Do make sure to dissolve the liquid detergent into the water before washing rather than pouring it directly onto the mattress topper. Dry your mattress topper with a low to medium heat setting. Hang the topper for at least three hours after washing and drying before using it again. 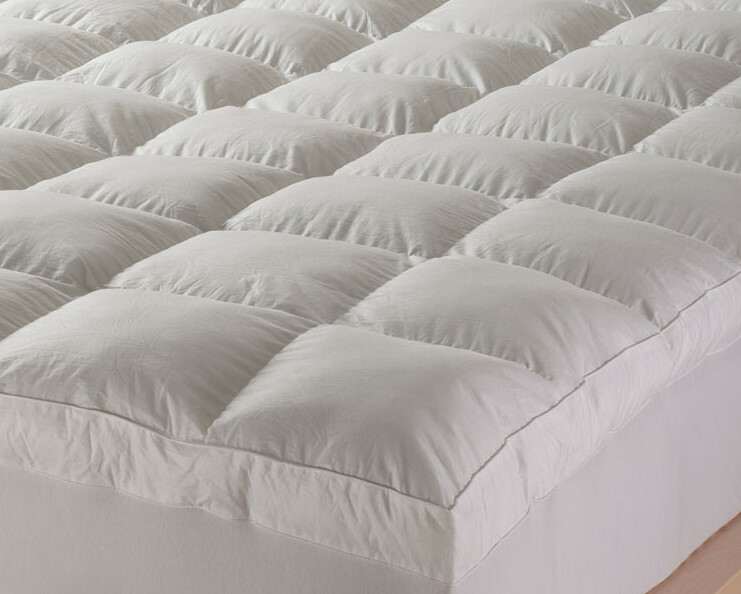 Aside from the yearly cleaning and regular airing, down and feather mattress toppers must also be fluffed constantly. This can be done daily when you make your bed, or weekly as you change sheets. Doing so will help keep the feathers from becoming compressed or clumping together. Another traditional type of mattress topper, wool is known for its warm and soft quality. Although this material is durable, it still requires proper care to make it last even longer. If you have ever washed a piece of woo clothing you will know that laundering and drying do not sit well with this material. Washing your wool mattress topper can cause it to shrink and lose its softness too since too much heat and agitation easily affects the material. More often than not, the best way to clean a wool topper is through green dry cleaning. If a wool cycle is available on your washer, follow the instructions on the care tag. You can spot wash dirt and small soils with lukewarm water and a mild detergent. Rinse the spot washed area using cold water. Allow it to drip dry or hang dry. Tumble drying can also be done if a low setting is used. 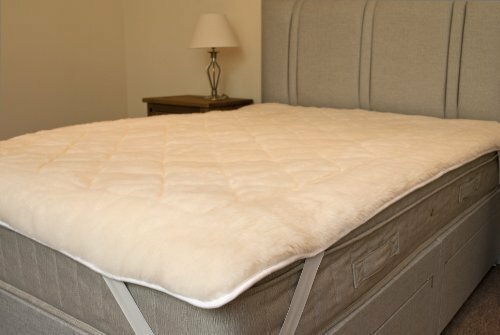 As with feather filled toppers, regular airing and sunning is recommended to keep your wool mattress topper clean, fluffy and odor free. Latex and memory foam are made with similar materials and are generally cleaned and cared for in the same way. These two types of mattress toppers can be a bit more tedious to maintain since they cannot be soaked, put in the washer, be exposed directly to sunlight, be put in the dryer and more. Cleaning your memory foam or latex topper in the ways mentioned will likely result in disintegration. This does not mean though that you have to let the dirt, dust and debris seep into your mattress topper. A gentle cleaning can help maintain it. Vacuum your mattress topper on a regular basis. This will help get rid of most of the dirt, dust and debris that accumulates over time. If the manufacturer allows it, steam clean the surface of the mattress topper with a steam cleaning machine. However, you will want to avoid excessively hot steam which can damage latex and memory foam. In case of spills or small stains, spot washing is allowed. Gently dab the area with a solution of water and mild laundry detergent. When the dirt is removed wiper the area with a damp cloth. Airing your mattress topper is also important. Remove it from the bed and lay it on a flat surface in a well ventilated area away from direct sunlight. To “wash” the entire mattress topper, dilute mild laundry detergent in two parts water and put it in a spray bottle. Spray the entire topper and let stand. Wipe off with a damp cloth and air dry for 24 hours. Made from regular foam, this is one of the easiest and most straight forward materials that can be cleaned. It does not require any special care and you just need to be careful not to agitate the foam too much to avoid any tears. Shake off any dirt or debris that maybe on the mattress, put it into the wash using a gentle cycle and mild detergent. After washing hang the mattress topper out until completely dry. As with other mattress toppers, your egg crate mattress should also be aired and sunned regularly for maintenance.